If you've been wondering about improving your home's energy efficiency but are concerned with service costs, you can rely on Triple H Home Efficiency Experts. Starting with our no-cost energy audit, we will diagnose home air leaks, duct leaks and insufficient insulation, putting you on a path to saving energy and money. We offer simple financing options for all our services and during your in-house visit, a home energy specialist can explain how our financial solutions can work for you! Many of our customers qualify for PSEG Long Island Assisted Home Performance program with ENERGY STAR incentives, which can pay for a huge portion of needed upgrades. PSEG Long Island also participates in on-bill recovery loans that are a great way to finance energy-saving improvements. We at Triple H Home Efficiency Experts believe it is an injustice when energy-saving upgrades are not readily available. 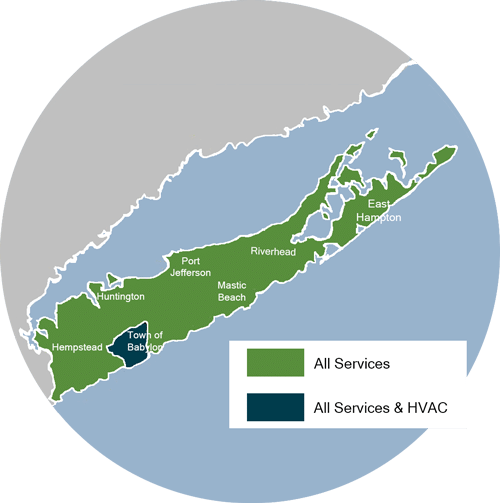 Since opening our doors in 1999, we have been serving Nassau & Suffolk Counties with energy efficient services and have made great strides to ensure everyone in our community has access to our solutions, no matter their income. For our efforts, we have won the PSEG Long Island's Century award each year since 2014 for completing 100 or more projects through the Public Service Enterprise Group's energy efficiency program. Customers with oil, propane or electric heat: 15% PSEG rebate on home energy improvements up to $3000 or 50% subsidy up to $4000 and a loan (if you meet income requirements). Customers with natural gas heat and central air conditioning: 15% PSEG rebate on home energy improvements up to $3000 or 50% subsidy up to $4000 and a loan (if you meet income requirements). MoreHouse Finance Company: MoreHouse Finance Company, LLC was founded in Connecticut in 2011 by very experienced Home Improvement and Financial Services Professionals to provide reasonable interest rate loans to creditworthy homeowners who care about their homes and want to improve them. NYSERDA Smart Energy Loans: NYSERDA helps homeowners improve their home's energy efficiency, enhance their home's comfort and make New York more eco-friendly with Smart Energy Loans for qualifying customers. Interest rates are subject to the homeowner's credit score and financial history. The Smart Energy Loan is not transferable, are available from $1,500 to $25,000 and includes possible terms from 5 to 15 years. Synchrony Bank: Financing through Synchrony Bank offers some flexibility for payment options and the ability to access funds with reduced or deferred interest rates. This option is perfect for customers who need to finance or who wish to take advantage of convenient payment terms. Many who use this program do so to finance a higher priced upgrade, an immediate home improvement need or to give better cash management. Sealed: Your energy bill could reflect a portion of wasted energy, as much as 25%.Sealed by HomeAdvance covers most of the cost of your home energy upgrade so you can maintain your affordable energy budget and swap out wasted energy for a more comfortable home. Unlike a traditional bank loan, the amount you pay is based on the money you save, never more than that.